All good things must come to an end. I wish whoever coined that phrase never said it in the first place. One of the best redemption options for short haul economy class flights from Canada to the U.S.. and for flights within the U.S. is ending on February 1st. This is a large increase in pricing and isn't unusual, we've seen it before from many programs including BA themselves. The only shred of light in this change is that 7,500 Avios one way/15,000 round trip is still a decent redemption value. 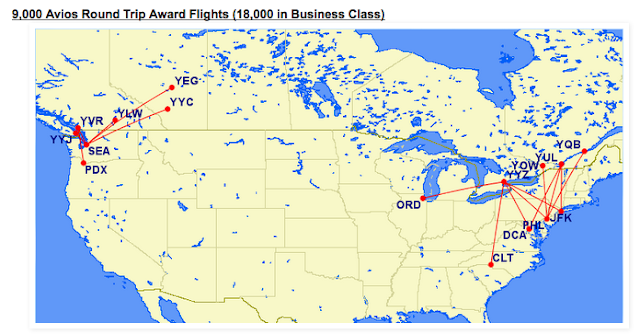 It is now brought up to the same short haul award level that Aeroplan charges and is still better than many U.S. based carriers who will charge 20,000 to 25,000 miles for similar flights. Interestingly enough, the 4,500 Avios short haul redemption remains in place everywhere else outside of North America, so want a cheap short haul in Europe, Asia and other regions, you can still get those. The timing of this change is unfortunate as I'm sure many of you just transferred over American Express Membership Rewards points this summer to get the 25% bonus in hopes of using them for this exact type of redemption. You still have three months to use them up at the low level so hopefully you can do so! Read all about the changes on British Airways' site here.